I'll be the first one to say it: traveling with kids is hard! They're out of their routine and you're all out of your timezone. All the different sights and sounds get them spun up and nothing you do seems to call them down. Believe me when I say that I understand. We've been through all that but below are three great reasons to push on through, to keep packing up and going with the kids in tow. If a child only sees your town- his school, her church, your home- than they will begin to think that that's all there is to the world. Sure, there are books and TV shows about the more that's out there but those are a pale second to seeing it for themselves. Instead of just reading about the amazing fish in a coral reef, take them to see one and talk about how important it is to protect them. Instead of watching a documentary about other religions, take them to see temples, mosques, and churches. Talk about why people do things differently and why you do or don't believe the same thing. If you think a festival in Korea is exciting, imagine how great a child will think it is! The costumes, the floats, the masks, and the food are all ways to introduce kids to different cultures. When children are exposed to different ways of life around the world, they begin to see that their way of doing things isn't the only way there is. When you can see life from another person's point of view, it stops being so weird and different- sleeping on a futon that you roll up every day in Japan sounds really strange but once you've done it and you see how much more room you have to play in afterward, it makes a lot more sense. As I said at the beginning, traveling with kids is hard, and what better way to teach children to deal with difficulty than to model it yourself. If your child sees you get frustrated and then calm down to deal with the situation, they'll be more likely to do the same. Is there a long wait for the next bus to the beach? Show your kids how to wait patiently for what you want. Are you tired of being hot, sweaty, and stared at? Share that feeling with your kids and talk about why you're putting up with it (wasn't that elephant ride/waterfall hike/market shopping worth a little sweat and staring?) and talk about how it feels to be different. Our world is an exciting place full of amazing things to see. We love traveling with our kids and experiencing the joy of the new and different through their eyes. 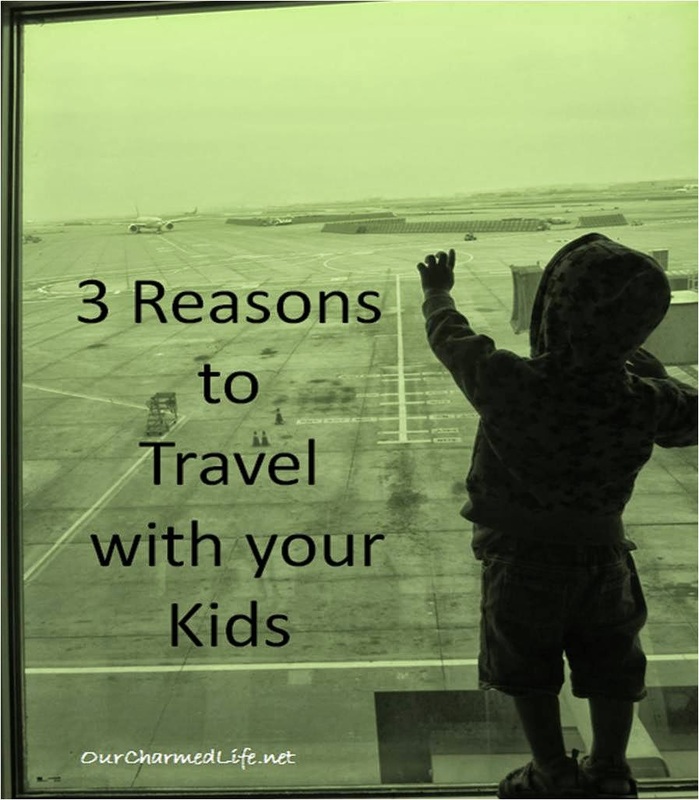 Have you traveled with your kids? What was the best or worst part of it? You are spot on with these reasons! I enjoyed your post and your thoughts. Thanks for the post! "When children are exposed to different ways of life around the world, they begin to see that their way of doing things isn't the only way there is." <-- that is so important. I couldn't agree more! Hi Rachel, I'm glad you agree with that one. I think that it's one of the most important lessons one can learn from travel- to be willing to see things differently. You're living in Kenya now, right? Do you (or your husband or sons) see big differences between the Kenyan way of doing things and the American? Any trouble blending the two? There are so many differences, especially in housekeeping, marriage, family relationships, time management. Living in Kenya, we do more things the Kenyan way than we did when we lived in the US. There are some customs that just make sense for the way of life here. We still do some things more American-ly. But we always say, "We have our own culture." We feel free to analyze customs and do what makes sense for us. So glad you joined us for "Tuesday Talk"! Yes, yes, yes! We love traveling with our kids ~ Great thoughts!